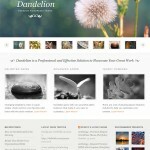 The flexible and responsive WordPress themes are 100% user friendly, fresh, stylish and clean Multipurpose themes. You can use these modern WordPress themes to manage many types website and blog, Small Business agent, Corporate Business, Creative One page Portfolio agency, tours and Digital Agency booking. Fresh WordPress theme 2018 are built with the latest WordPress technology and 100% responsive which works on all web browsers and any types of devices. This Multipurpose WordPress theme has retina ready design and easy customization options. 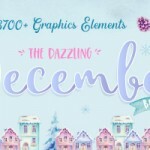 Clean, Modern, Unique and Multipurpose WordPress Themes for Creatives which suits any kind of Corporate Company website or personal portfolios. Create any page using the Visual Page Builder and Addon’s and a lot of interesting things. Below every theme is ready to use, you can check live demo of each theme. Here is the list of Fresh new Responsive WordPress Themes 2018. 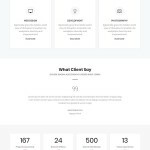 Arcon is a WordPress theme which is developed for agency, Wedding agency and other Multipurpose.Arcon WordPress theme has variety of features on Personal Resume, Business, Portfolio and Seo Agency. 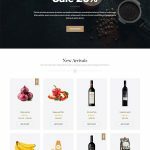 Blance is a unique, clean and professional WordPress theme perfect for promoting and selling your products online. The theme offers unlimited color and font options, 20+ powerful shortcode, 05 header layout, 04 awesome sliders, custom widgets and a lot more. Its framework is built with Bootstrap 3, which provides an effective and user-friendly timeline component. Blance is powered by entirely by WordPress, WooCommerce and deeply compatible with Multi-vendor and Marketplace plugins like WC Vendors Plugin that helps you create multi-vendor sites with ease. Invxtassy is the Perfect Finance, Consulting & Professional Business WordPress Theme. Invxtassy is best suited for corporate website like Financial Advisor, Accountant, Consulting Firms, insurance, loan, tax help, Investment firm etc. This is a business template that is help full for online presence for Corporate Business and Financial Firms. 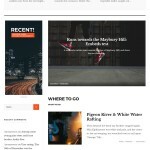 A contemporary creative WordPress theme made for everyone. For designers, artists, photographers or other micro niches. Packed with beautiful portfolio lists and single project layouts, awesome elements, unlimited amazing homepages, lots of practical inner pages, and much more. Wobus is fully responsive, creative, clean, superb and multipurpose one page and multipage WordPress theme with latest web design styles. It has perfect ready to use demos for any type of business like design corporate, agency, modern agency, startup, freelancer, mobile app, landing page, business, coming soon, blog, portfolio, login, etc.It is friendly for designer and developer customization, Speed optimized, well documented, commented, structured, well tested in all browsers & devices and contain easy to understand code. Haat – Minimal WooCommerce WordPress Theme is a potent and versatile WordPress theme. It is a graphically polished and deeply resourceful minimalist WooCommerce theme. 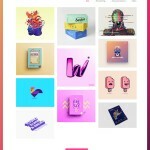 Best fit for personal portfolio, creative business owners or professionals. Built based on the fastest KingComposer drag-drop WordPress page builder. Beratung is a powerful responsive business & consulting WordPress theme. It’s suitable for many corporate website such as Financial Service, Finance Company, Financial Advisor, Trader, Consultant, Broker, Coach, Lawyers, Attorneys, Barristers at Law, Counsels, Solicitors, Advocates Accountant, Law Firm, Wealth Advisor, Brokerage Firm, Trading Company, Legal Offices, Investment, Insurance and general corporate website. Vestma multipurpose business theme is a premium theme that designed to creating all kind of business, consulting websites. Although has fully features of a professional theme as retina-ready, fully responsive layout, cross-browser compatibility, customizer, click demo install and powerful theme options base on Redux framework but Vestma is very easy to use. Infinitum is an an amazingly feature-rich and resourceful, creative and colorful, dynamic and modern, highly responsive multipurpose WordPress theme with unlimited features and customisation options inside. Infinitum provides a powerful website building tool where you can bring to life any website dream with modern and attractive look. Intuitive options admin panel and drag & drop page builder will help you to create any type of website you might have planned. Infystore is WordPress ecommerce theme based on WooCommerce plugin. It is suitable for art, mega, electronics, computer, accessories, fashion, shoes, mobile, vegetables, food, furniture and home decor store. It is also multipurpose theme which can be used for any kind of online store. Infystore WooCommerce theme is looking good with it’s clean and fresh design. All sub pages are customized. Origen — is a Modern Portfolio WordPress theme for Agencies, Studios, Designers, Freelancers and so on. It’s fully customizable with Customizer and Page Builder. Outsign is a creative multi-purpose WordPress Theme based on Visual Composer. With it’s 21 demos you can create great sites for any needs: agency, freelance, designer, web designer, developers, marketing, startup, blog, magazine, portfolio, photography, architect, corporate, business,fitness, musician, restaurant, medical and ecommerce shops. Naos the Universal and Advanced WordPress Theme. If you’re an agency, an individual, if you have a shop or if you have any else type of business, you’ve finally found the easier and powerful WordPress template.